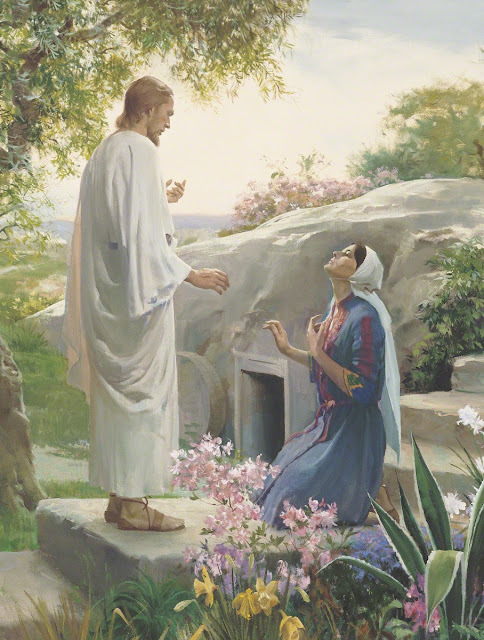 We will be singing for Easter this Sunday and since we have Sacrament Meeting last (which, by the way, is awful except for when the Primary has to sing that day) we'll be learning the last verse of Had I Been a Child, still using the lesson plan from the The Songbook Companion. Then we'll be rehearsing our musical number (find that HERE). I have so much I want to do that I volunteered to take over sharing time. The Primary counselor who was in charge this week was very grateful! So after we finish rehearsing, we're going to complete our March 2012 Challenge which was to read 3 Nephi 17:11-13 and 17:21-24, imagine yourself with the Nephites when the Savior came, and draw or write what it would have been like if they were there. I'll play the song on our CD in the background as we draw/write. If there's still time, I'll have the kids share what they drew or wrote. I thought this would double nicely as an Easter lesson. It really brings to surface the real reason why we celebrate Easter. I'm sure the kids will get plenty of Easter bunny stuff at home so I'm not too worried ;). If you are in need of a simple Easter singing time this week, pick any Easter song in the Primary Songbook, read the scriptures that the song references, then have the children draw a picture of themself with the Savior while they listen to the song (either as the pianist plays it or play it on CD).